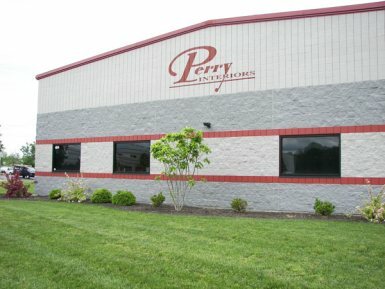 Karen and Rick Perry started Perry Interiors in the summer of 1999 with the help of a good friend. Karen’s area of expertise was in business finance with 23 years of experience. Rick was the field supervisor for a painting subcontractor who was going out of business. Through the encouragement of former co-workers, Rick and Karen opened the doors of their new business bringing with them many of the skilled journeyman trained by the local painter’s union. The business started in their home but quickly grew and in 2001 they moved to a small shop in Roselawn. In 2002 through the efforts of Karen, Perry Interiors became a WBE and EDGE Certified Company. These certifications have been beneficial to the growth of the company. By 2009 the company had outgrown the shop in Roselawn and plans were set to build an office and warehouse in Batavia. In April of 2010, the new facility was complete and the operation moved to the Clough Woods Business District. In 2012 an estimating department was launched in the Dayton, Ohio area servicing the Northern Ohio Region. Our dedicated staff and field employees have helped to secure a place for Perry Interiors in the future of the commercial painting business.